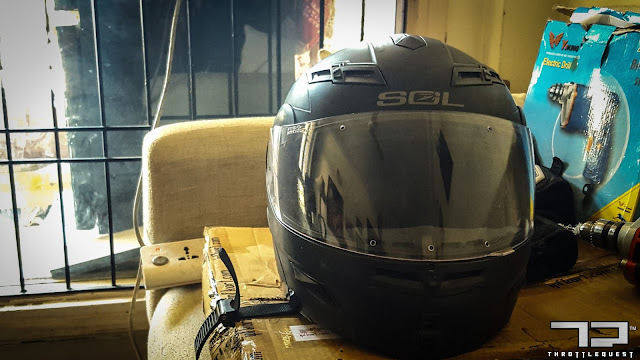 A fogging up visor is the biggest nemesis of a free spirited motorcyclist during winters and every now and then a motorcyclist tries to trump this nemesis in his or her own ways with varying degrees of success. What I present below is a D.I.Y which works with great degree of quirky scientific frustration rather than gleeful precision of craftsmanship. 1) Take the visor out and clean it, like squeaky clean it. 2) Now think about it as to why does the visor get so fogged during the winters when you are riding the bike (obviously you can have the helmet on even while not riding your motorcycle, but then you would be branded with very specific sets of labels which you might not like). Turns out that when we are riding our motorcycles during winters, due to the wind chill and the chill of the air we are "blasting" through, the temperature on the outside of the visor is marginally less than the inside of the visor, which is kept relatively warm by our (fresh or otherwise) breath and hence the condensation. 3) So provide an outlet for the warm breath to escape (which we generally do by keeping the lid open just a wee bit) and the condensation comes down to manageable levels. 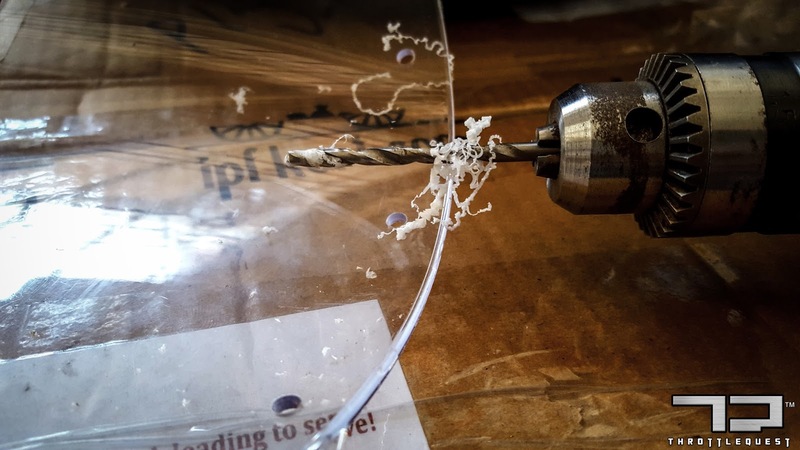 So that's the basic principle of this D.I.Y - provide an outlet for the warm breath to escape and cold air to come in and thus balance out the temperature both inside and outside of the visor to some extent and thus reducing the fogging to a larger extent. That's all that's to this D.I.Y. Really!! Put the visor and blast off to your two wheel riding pleasure understanding that and reaffirmed on seeing that the in visor fogging has reduced by as much as 80%. On a stand still, the fogging happens a bit more because now there's not much cold air rushing in. Stay tuned to ThrottleQuest for more such tips and tricks and D.I.Y.